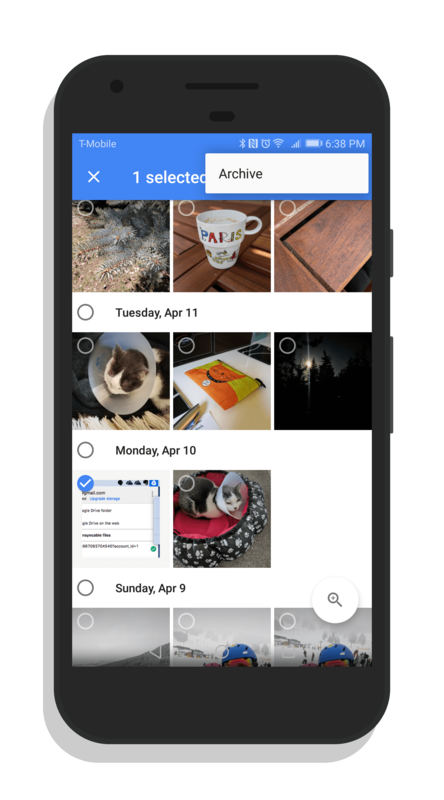 Google has begun the process of rolling out a new Archive feature to Google Photos. The new feature will allow you to select photos and move them to an Archive album, hiding them from your main photos view. You will still be able to view the photos in Albums and you can still search for them. It just removes them from your Photos view. This feature can be quite handy for more-or-less cleaning up your Photo stream. As a Top Contributor for Google Photos, I take a lot of screenshots of my Chromebook, Mac and Android devices to help people in the forums. That means I have dozens of these screenshots in my Photos view. Well, I did until yesterday. Now I have them archived but if I ever need to refer to one, I can easily do so. They aren’t deleted or altered in any way. used the overflow menu (the three vertical dots) and select Archive. They will then be moved to the Archive album which can be accessed view the menu. If you have a photo you want to remove from the archive, it is just as easy. Go into your archive, long press the photo then use the overflow menu to unarchive it. For those of you who use Google Photos on an iPhone or iPad, it works the same way. The new feature is still rolling out but should be to everyone by the end of the week.